Preheat oven to 350 degrees. 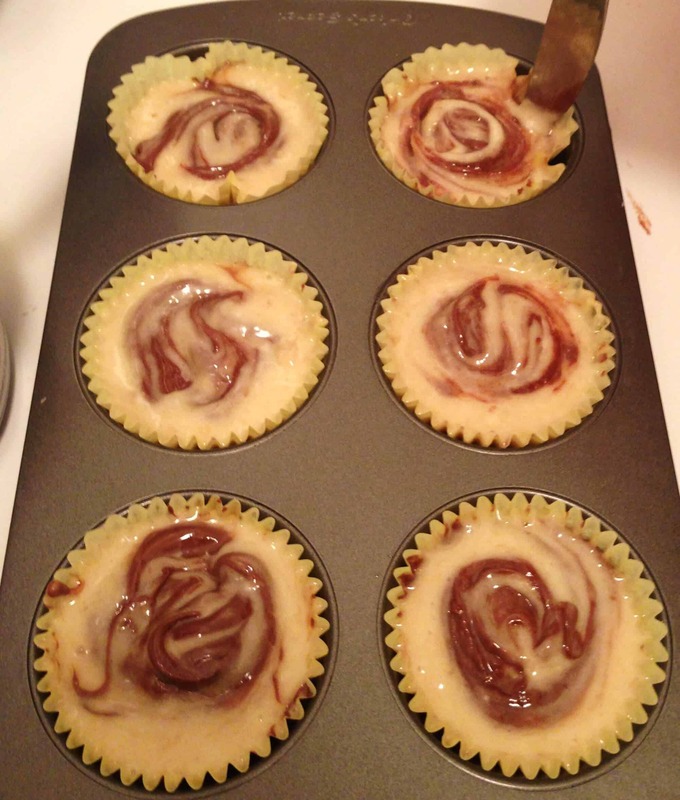 Add all ingredients in a large bowl, and combine with a hand mixer at a low speed. 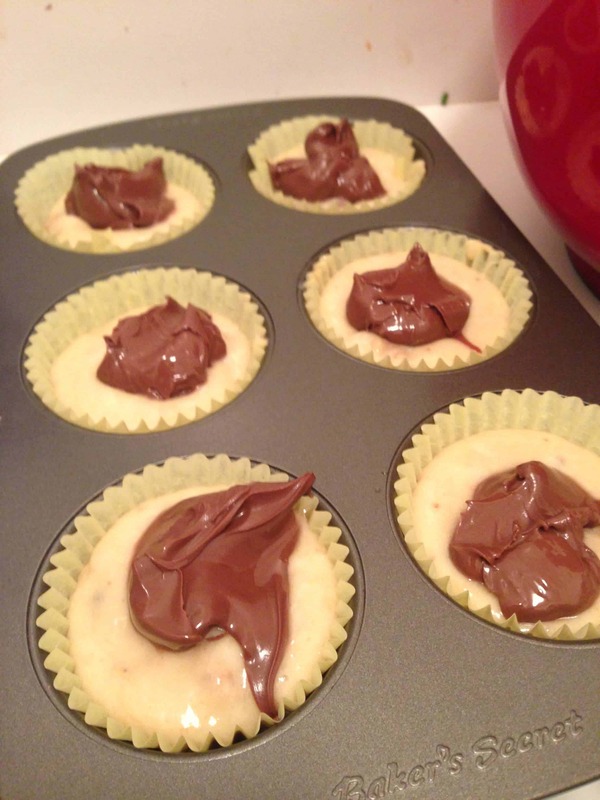 Fill each lined cupcake tray 2/3 full, and drop 1 heaping tablespoon of Nutella onto the top of each muffin. 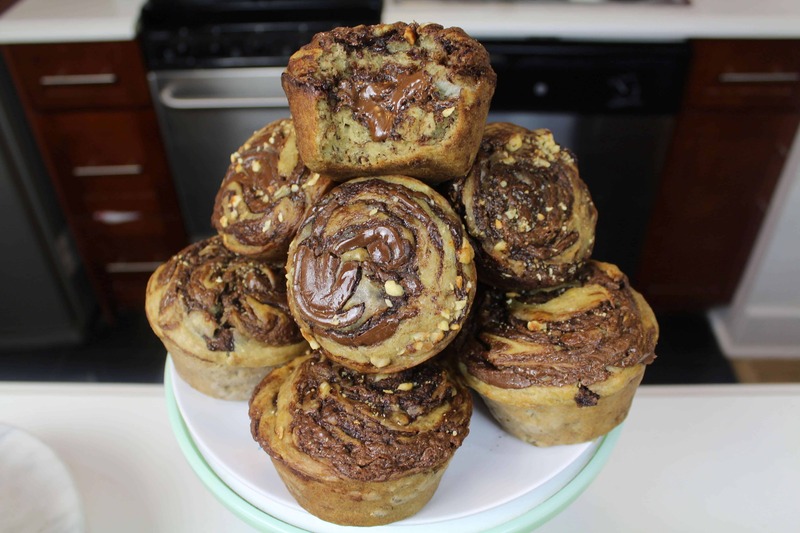 Using a butter knife, swirl the Nutella around the top of each muffin. Bake the muffins for about 15 minutes, until the edges were golden brown. 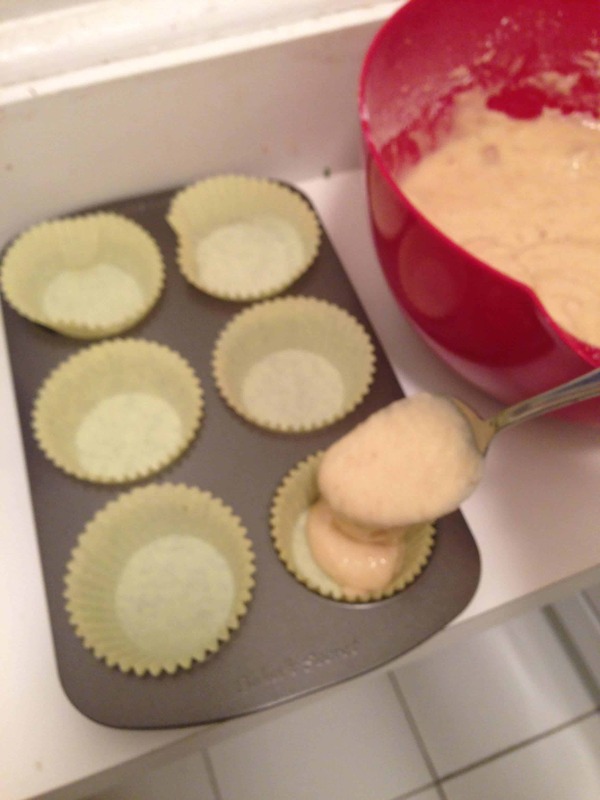 The size of your muffin tins and how full you fill them will also affect baking time, so baking time may vary. I chose to make both normal sized muffins, and mini muffins. 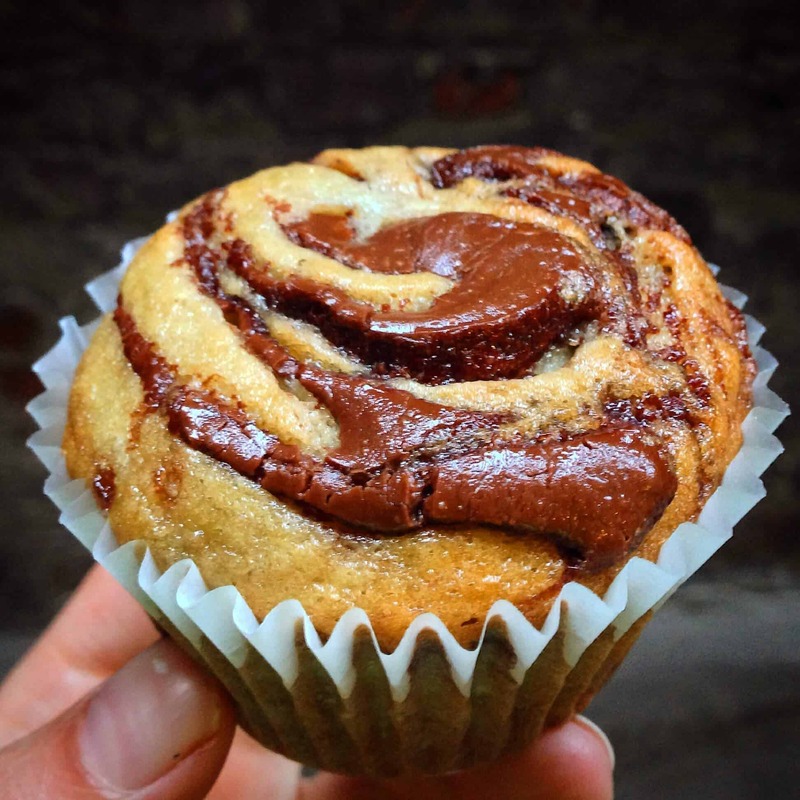 The mini muffins only need to be baked for about 10 minutes.